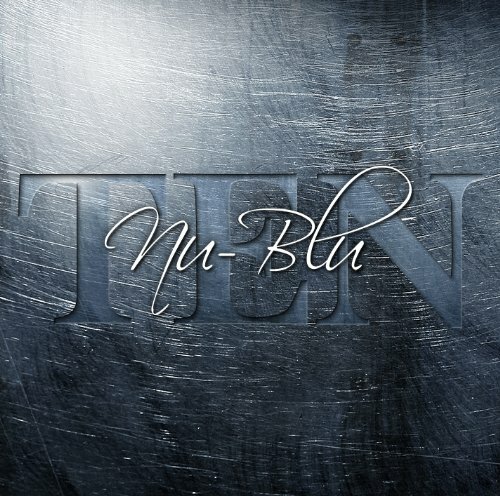 Nu-Blu, based in Siler City in central North Carolina, is comprised of Carolyn, who handles bass and vocals; Levi Austin on vocals and banjo; Milom Williams II, on mandolin; and Daniel, who is the band’s Renaissance Man – guitarist, singer, manager, and tour coordinator, among many other roles. The group brings its lively and entertaining version of Americana-bluegrass music to audiences across the nation year-round. Their sound acknowledges the traditional institutions that have shaped it, yet is innovative and daring enough to bring a fresh sparkle to contemporary acoustic music that lands them squarely in the forefront of bands blazing the trail in acoustic entertainment. Influences range from the sounds of original bluegrass pioneers like Earl Scruggs, Jimmy Martin and Lester Flatt to rock bands of the 1980’s, and modern contemporary sounds such as Alison Krauss and Union Station. Carolyn’s soprano vocal approach might be described as similar to Ms. Krauss, except she carries a phrasing and emotional elegance that shows a clear originality. Daniel and Levi provide inventive singing to fill out the vocal sound, while all four members present instrumental prowess to impress. Carolyn jumped into the spotlight in her life before age 8, performing and singing in church choir, school musicals, and plays. By age 18, she had commanded leading roles in Broadway musicals, and by age 20 she had started her own band, a gospel trio. Her unique vocal style incorporates her early musical loves, and well as a background performing as a rock and roll vocalist as well. In fact, she contributes most of what shaped her vocals to the rock genre. 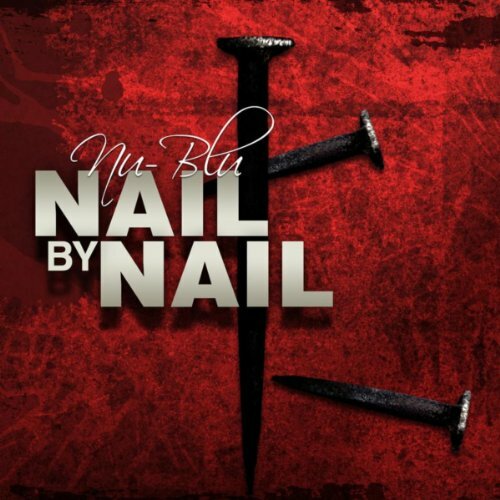 It was music that brought her into contact with now husband, Daniel, and the pace picked up even more, with the founding of Nu-Blu in 2003. Carolyn brings an award winning career as a vocalist, a lifelong knowledge of the performing arts and what makes stage performing effective, years of experience selecting songs for recording, recorded songs of her own, bass playing competence, and a track record of leadership in bluegrass. Few bands exceed the longevity, camaraderie, and stage enthusiasm of Nu-Blu, and Carolyn’s warmth and love of the music is part of the Nu-Blu glue that makes it all stick! If she isn’t working in the band…. (long pause because that’s a strange thought! ), Carolyn is taking care of her kids and vegging out watching her favorite TV series, Game of Thrones. The other redhead, and the guy making it all happen, is Daniel Routh. Daniel is the engineer of all things business, from marketing to miles behind the wheel, and engineering to effort required to put a band on the map, Daniel is the tireless conductor of the Nu-Blu train. Starting with a Sears and Roebuck guitar at age 12 and bluegrass on the radio, he went on to perform locally on banjo, garnering some instrumentalist awards, and performing with several local bands. Joining forces with Carolyn in 2003, he shared with her a vision of a musical sound crafted by influences from rock to roots, all grounded in a solid bluegrass sound. With a degree in History and twenty years in all aspects of production, marketing, studio-engineering, business management, stage management, live sound engineering, and graphic design, there’s not much that relates to band success that Daniel has not worked hard at. 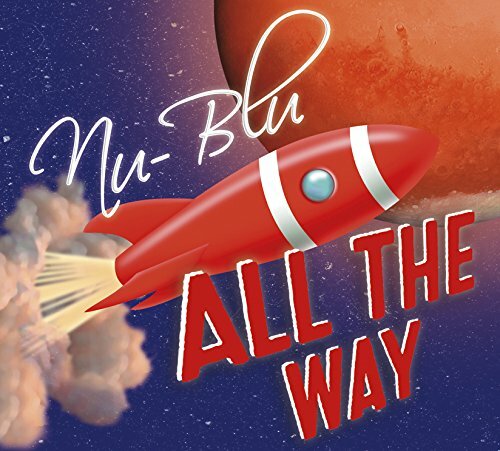 The popularity and respect which Nu-Blu has gained are a testament to his skill, and just as important, his commitment to sharing his joy and passion for music in his entire professional and performing ventures. Daniel is guitarist and vocalist in Nu-Blu, but also brings skills in instruction on bass and banjo. If Daniel isn’t working, you will probably find him asleep. He might wake up to read a book about American history, and, of course, spend family time. Multi-instrumentalist Levi Austin started with banjo at age 9, and performed regularly as part of the “Rand ol Opry show, while winning many competitions before hitting his teenage years, including first place banjo at the Galax Fiddlers Convention. Levi has been performing with Nu-Blu since age 14, adding to the solid playing of the band, built on solid relationships. In addition to playing banjo, guitar, and bass, he has been an engineer at Red Squared Audio, completing projects that have received airplay on over 2500 radio and TV stations. Levi also brings skills in instruction and theory, having spent a year in music at Campbell University, and taught lessons himself for over two years. Last but not least, he is completign a business degree and puts this to use with various marketing projects including website design and T-shirt design and sales. When not hitting the highway with Nu-Blu you can find him working out or lounging by a pool somewhere. Milom Williams is from Boiling Springs, SC and began playing guitar at the age of 8, shortly followed by the mandolin a few years later. At only 22 years old, he is equally adept at each, gaining much professional experience on both instruments. As a member of The Watkins Family and Kevin Richardson & Cutting Edge, he has showcased his ability as not only a player, but also a lead and harmony vocalist. He has been a frequent addition to the esteemed gospel group, The Rochesters, for several years and has filled-in with many artists, including Volume Five, Darrin Beachley and Skip Cherryholmes. His self-released solo project, entitled My Path, exhibits his talent as a songwriter, vocalist and instrumentalist. Soul Man Sam Moore and Nu-Blu with Jesus and Jones. Passamano Bros.
Nu-Blu with special guest Sam Moore, on Ronnie Reno's Old Time Music Show on RFD-TV. Nu-Blu (Carolyn Routh, Daniel Routh, Levi Austin, Austin Koerner) performing their chart single "Other Woman's Blues" with special guests Rob Ickes (Dobro), and Christy Reid (vocals).